For all those who have attended my prenatal yoga classes and/or prenatal education for couples workshop, you are likely familiar with the many practices we discuss to help achieve the best pregnancy and labour experience possible. For all those new “mamas-to-be” out there, I’m going to share one of our labour success tips! So why does eating dates during pregnancy help all you mamas-to-be? Researchers have found that date fruit has an oxytocin-like effect on the body, leading to increased sensitivity of the uterus. It also helps stimulate uterine contractions and reduces postpartum hemorrhage the way oxytocin does. They also found that it contains many nutritional benefits for pregnant mamas. • Fiber – Helps you stay full, relieves constipation, and lowers your risk for gestational diabetes and preeclampsia. 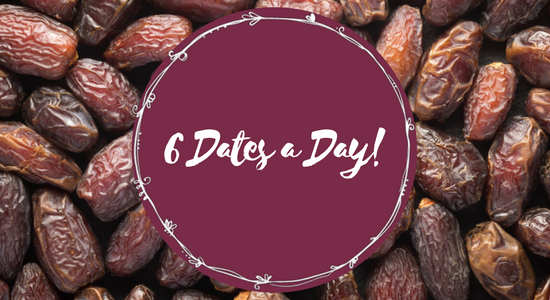 If you’re not familiar with dates and/or how to incorporate dates into your diet, check out Pinterest and you will be blown away with the number of tasty ways you can easily add dates to your diet!